Year 6 children have a Kindergarten buddy for the year. 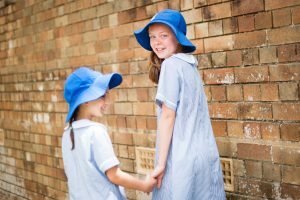 The Year Six buddies guide the Kinder students in their first experiences of school especially on the playground. They help their Kinder friends to grow in confidence and independence in their first year of school.